Lunch break, 1450 foot level refuge station, Kerr Mine, Virginiatown, Ontario. 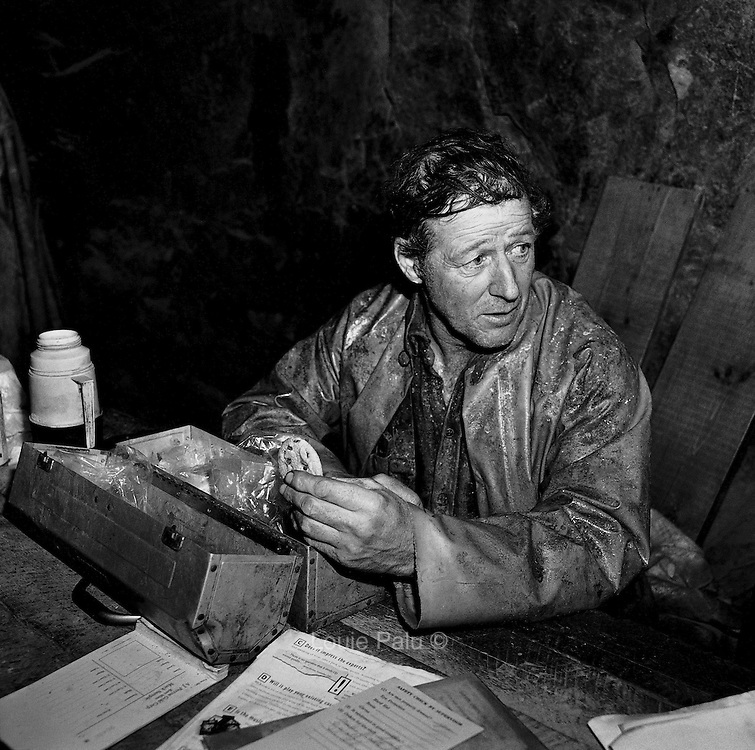 From the book Cage Call: Life and Death in the Hard Rock Mining Belt. An in-depth project spanning over 12-years examining communities in one of the richest mining regions in the world located in Northwestern Ontario and Northeastern Quebec in Canada.